Iceland's largest power plant at the Krafla Volcano site, produces GWh of electricity per hour. 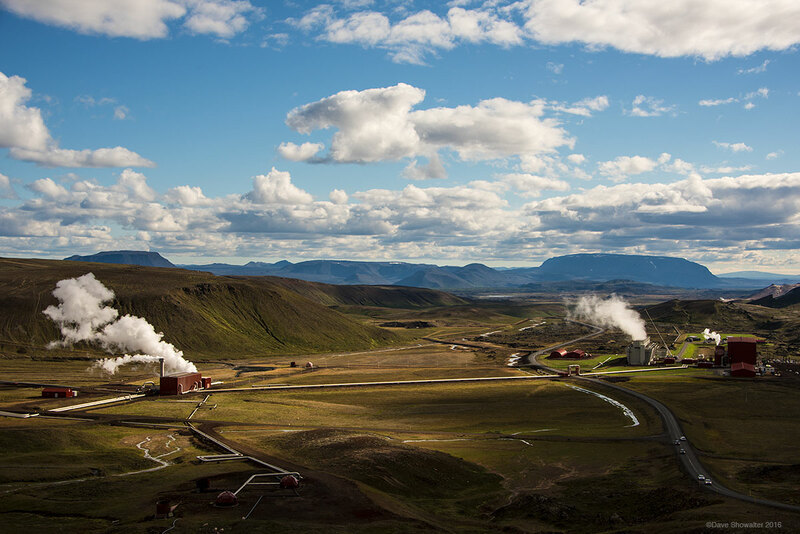 The country is run almost entirely on geothermal-generated electricity and hydro power. Iceland takes full advantage of so many volcanoes by using geothermal energy for 87% of hot water and heat in public buildings. Photo © copyright by Dave Showalter.